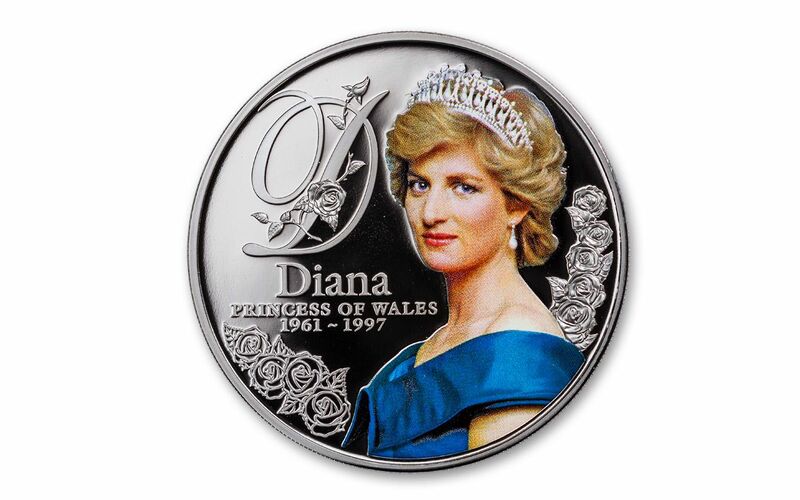 When Diana, Princess of Wales died in a car crash on August 31, 1997, the whole world mourned her absence. She was one of the most adored members of the British royal family, spending countless hours in her utter devotion to bringing awareness to worthy causes. 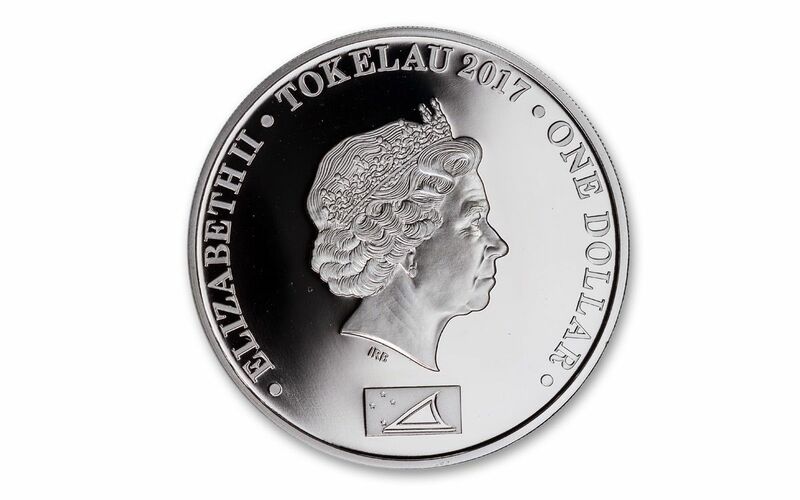 To remember her legacy, this legal-tender $1 Tokelau proof has been released, containing 20 grams of 99.9% fine silver. 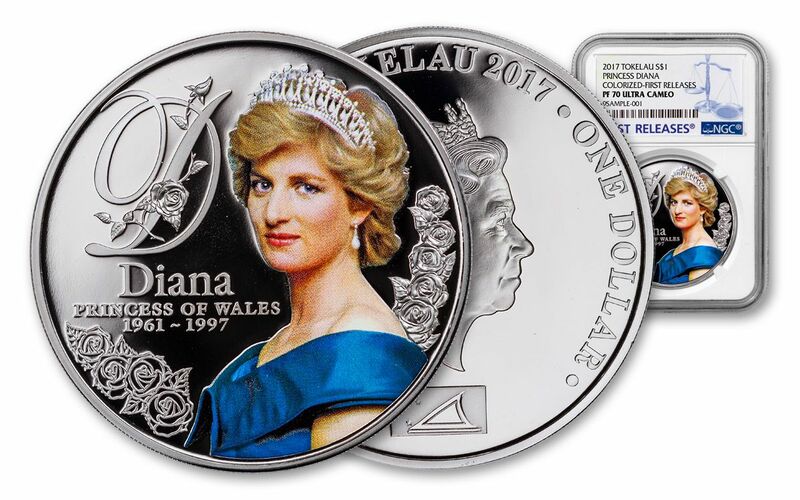 With a diameter of 40 mm, it features a wonderful full-color portrait of Princess Diana surrounded by a ring of roses. The reverse also denotes the years of her birth and passing. 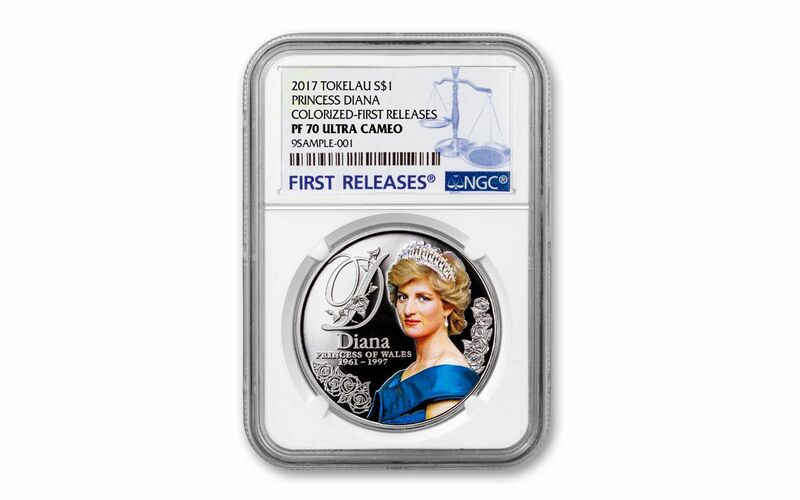 This striking commemorative is also certified both perfect Proof-70 (PF70) condition and First Releases by Numismatic Guaranty Corporation (NGC). Don’t miss out on this beautiful commemorative tribute -- order yours today!